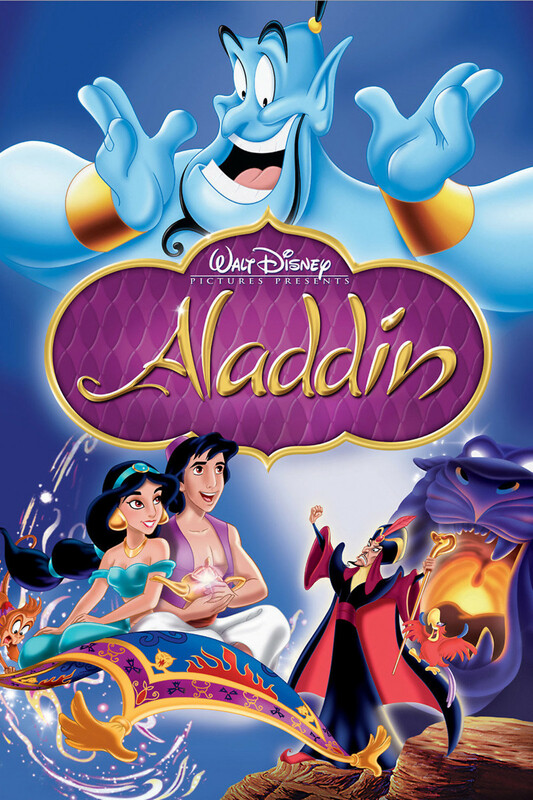 Aladdin is an animated film that tells the story of a young man's quest for love and recognition. Aladdin, a street urchin in Agrabah, is happy living his life on the streets, until one day he meets a young woman and falls deeply in love with her. This woman, Jasmine, was parading around the streets as a street urchin herself, when she is in fact a princess. Aladdin realizes that in order to win Jasmine's heart he must be a prince. Luckily, he teams up with a Genie that grants him three wishes. The pair team up and fight the evil Jafar, and Aladdin eventually realizes that Jasmine loved him all along for who he truly was inside.